You know why so many people celebrate so hard when the clock strikes midnight on January 1st? Well, aside from the fact they have been drinking since noon, it's also because on January 1st we get a fresh slate of TEN WHOLE VACATION DAYS! And as soon as the New Year's Day hangover wears off, it's time to start planning where we'll spend those 80 working hours a year. It might be tempting to go somewhere overseas. Somewhere exotic. But time and money are scarce commodities, and you already happen to be in the world's most interesting country. Around this great nation of ours, some outstanding new things are popping up: museums, hotels, parks, water slides in the shapes of volcanoes, the usual. 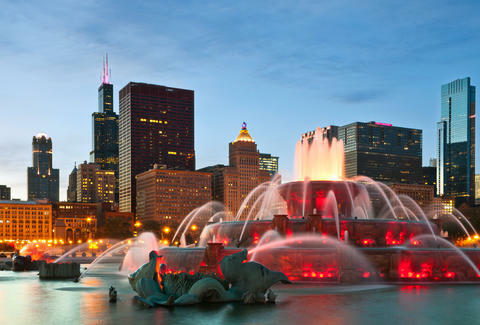 You're about to have the time, so look to hit one of these US cities in the coming year. 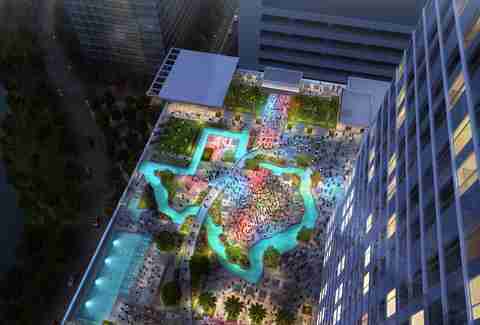 Super Bowl 51 brings an explosion of building to the city core. The biggest American city that everyone manages to forget is getting harder and harder to ignore. With February's Super Bowl headed to town, Houston's turning the area around the convention center, dubbed Avenida Houston, into America's biggest new shopping and dining destination. The city is also vastly expanding its bike-share program, which you can use to visit the newly renovated Emancipation Park, the new $25 million downtown Community Arts Complex, or the 20-acre North Houston Bike Park, opening in fall. Not far away in Todd Mission, the first Middlelands music festival will rock three days of cross-genre artists, four nights of camping, and large-scale art installations. And that's just what's new in Houston. In the past decade, while America was fawning every time Austin built a crosswalk, Houston quietly opened three new sports stadiums, expanded its museum district to a total of 19, and started a place where you can pay $20 to beat the living snot out of office equipment for five minutes. That alone oughta be enough to get you on a plane to H-Town where, oh yeah, it also just dropped $150 million to upgrade its OFF airport at Hobby. 60,000 new acres of virginal backcountry skiing invite you to drop in. Nowhere is upping its ski game in 2017 like Utah and its Ogden Valley. Starting the day after Christmas, Whisper Ridge -- billed as the continent's largest backcountry skiing resort -- will open its doors, and along with it 60,000 acres of pristine snowcat skiing terrain, made possible via eight custom PistenBully snowcats that shuttle skiers out to boundless steep powder. Other resorts around Salt Lake are likewise upgrading. Powder Mountain underwent the largest lift-serviced resort expansion in North America this past year, adding two new high-speed lifts. Sundance added the Arrowhead lift, a new high-speed quad that will increase its capacity by 500 skiers an hour. And Cherry Peak added a new lift to expand its skiable terrain by about 400 acres and installed lights. So you've got more space AND more time to hit the slopes. An anticipated Steve Jobs opera premieres, with tailgating. 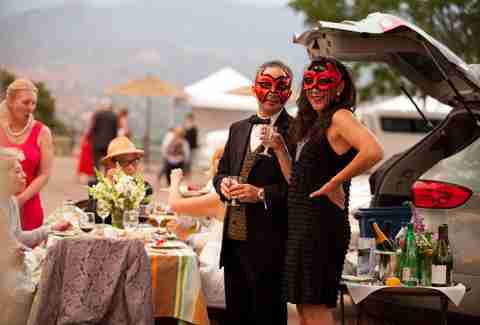 Fine arts everywhere could take a cue from Santa Fe, where going to the opera means showing up hours before the sunset showtime and tailgating like it's Lambeau South. This year's main attraction is the summer world premier of an opera about Apple's late founder, called The (R)evolution of Steve Jobs. 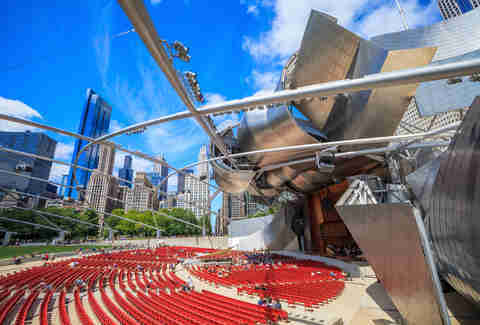 Look for it to pull in a younger-than-average opera crowd; its composer, Mason Bates, is a DJ best known for his synthesizer and electronica music. Also in Santa Fe, Game of Thrones creator George R.R. Martin has been instrumental in creating "The House of Eternal Return," a trippy, neon, walkable art installation in an old bowling alley that, in the words of the city's promoters, "tells the story of a suburban family that's been hit by a break in the space-time continuum, and who now must navigate a series of wormholes attached that transport visitors into alternate dimensions. 135 artists were involved in creating 70 distinct and immersive spaces, a 300-person music venue, a video game arcade, tree houses, an interactive cave system and more." Add to that the annual Burning of Zozobra in September, a wine and chile fiesta, and a green chile cheeseburger smackdown, and Santa Fe is looking like the best spot to hit in 2017 for pure, unbridled creativity. A global art destination lands a high-speed rail. For too many, a trip to Miami means heading straight to South Beach. But the actual City of Miami -- that is, the gleaming skyline across Biscayne Bay from South Beach -- has turned itself into a world-class destination that needs nothing from its beaches-and-bottle-service neighbor to the east. 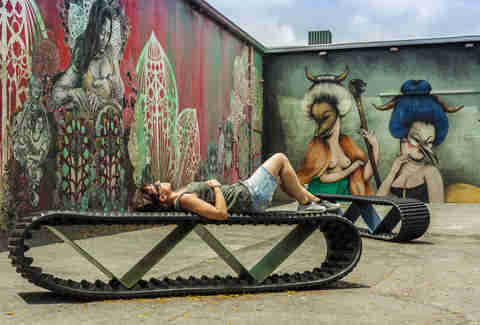 For starters its Wynwood Arts District, home to some of the best street art in America, has grown into a burgeoning scene of bars and restaurants that includes Alter, a new restaurant many consider Miami's best of the decade. But add to that the forthcoming permanent home of Miami's Institute of Contemporary Art -- a 37,500sqft museum girded by a 15,000sqft sculpture garden -- and you've got yourself a legitimate world art destination. Perhaps Miami's signature 2017 upgrade will be the Brightline train, a high-speed rail that'll connect Miami with Orlando (via Ft. Lauderdale, West Palm Beach, and Cocoa) in just three hours. So a trip here can be a gateway to all that's great in Southern Florida, and hopefully allow you to explore Miami with significantly reduced traffic. The downtown station, dubbed MiamiCentral, will be more than just a train depot, bringing with it the city's first legitimate food hall, Central Fare, plus bars, restaurants, and other attractions that continue to make mainland Miami the center of the action. Pro sports finally get into bed with Sin City. 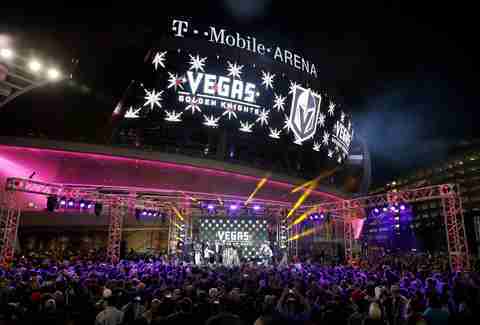 America;s biggest city without major pro sports finally gets its team when the NHL's Las Vegas Golden Knights begin play at the T-Mobile Arena in Paradise next fall. And, sure, an expansion hockey team isn't necessarily a first-rate tourism driver, but the arrival of pro sports signals Vegas' arrival as more than just a city for people to go and make bad decisions. It's now a place where you can make bad decisions and try to explain icing to your buddies. Beyond hockey, Vegas is just planning to Vegas the hell out 2017. Look for the Backstreet Boys to begin a residency at Planet Hollywood and for a new Magic Mike all-male revue to start its Vegas run at the Hard Rock (naturally). The Wynn is outfitting each of its 4,478 rooms with an Amazon Echo, the world's first hotel in the world with voice-activation features in every room. If you actually want to do something active in Vegas, the slopes nearby at Lee Canyon are probably the city's most underrated attraction, and a ski vacation to Vegas can be cheaper and infinitely more fun than other resort towns. Or, in the summer, hit the comically rambunctious XPark Vegas, a 16-acre theme park that'll include bungee jumping, zip lines, speedboat racing, ATV obstacle courses, and dirt-bike tracks. Do you love music. No, like, do you really LOVE music? Then your top 2017 destination is Chattanooga, which this year welcomes a new museum called Songbirds to its Chattanooga Choo Choo complex, a renovated 1880-vintage train station. 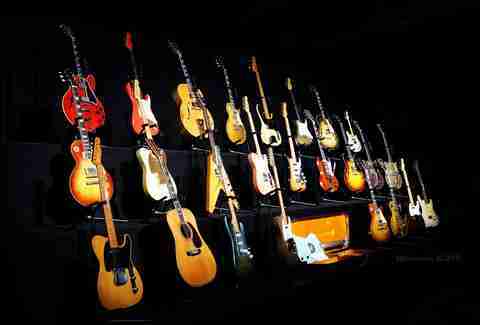 The museum's keystone exhibit is a display of 300 historic guitars, including over 30 Gibson Sunburst Les Paul guitars, 300 custom Fenders, and an extensive collection of both solid- and hollow-body Gretsches. If this all sounds like Martian to you, don't sweat it. Chattanooga's still got plenty going on. Also opening at the complex is the Revelry Room, a new live-music venue, and a new location of the Comedy Catch club. Station St -- where the station-turned-entertainment complex resides -- will be opening a slew of new shops and restaurants to complement the new attractions. And for those who want to do more than eat, drink, and look at guitars on vacation, the Ironman 70.3 World Championship will be here in September. Underground brewing history gets a high-tech urban beer tour. Though it's no Milwaukee (who is, really?) 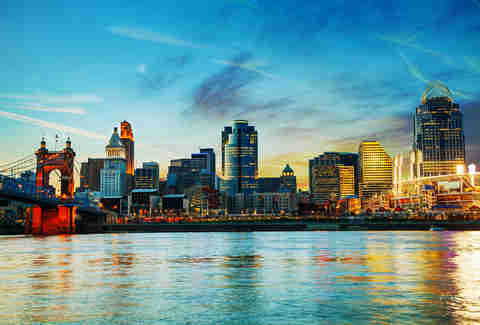 Cincinnati has some of the richest brewing heritage of any US city. Finally the town has put together a Brewing Heritage Trail that'll stand against any beer tour in America. It takes visitors through the Over-the-Rhine neighborhood, once a hub for German immigrants to the city, and through historic old breweries and down into the bowels of Cincinnati to the tunnels and cellars brewers used generations ago. You like drinking? You like history? You like tech toys? Well then get you to Bengals country, fella. On the tour you'll download an app that walks you through 2.3 miles of city streets, from Over-the-Rhine to Pendleton to Downtown, with narration from different characters from the area's rich 19th-century brewing culture -- beer barons, brewery workers -- making the experience unique wherever you stop. Along the way you'll find new public art and storefronts equipped with interactive screens to display images and maps of the city in its beery heyday. A rare solar eclipse passes over posh new rooftop lounges. 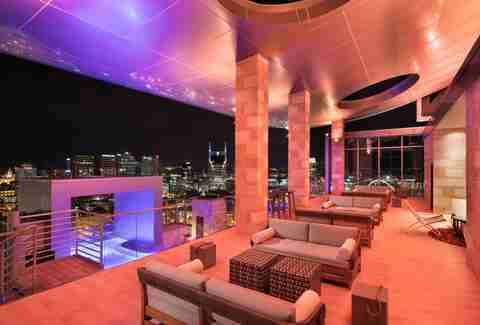 A pleasant side effect of Nashville's boom in new entertainment venues and hotels has been the proliferations of rooftop venues. This puts the discerning visitor well above the tourist throngs who pedal tavern their way around town, bachelorettes woo-hooooooing all the way. Two brand-new stadiums offer the chance for a rare doubleheader. 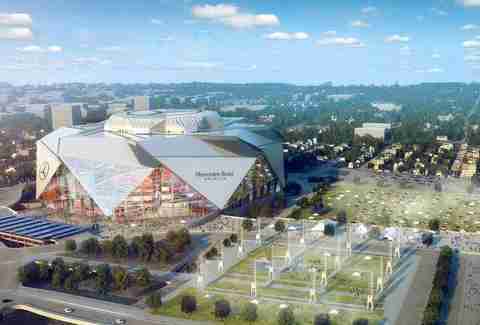 Atlanta's getting new venues for two of its three major pro sports teams in 2017: Mercedes-Benz Stadium for the Falcons and SunTrust Park for the Braves. We won't know for certain until the 2017 NFL schedule drops, but with the Braves playing three Sunday home games in September, it's a virtual certainty that you'll have a chance to make like legendary/ridiculous Atlanta athlete Deion Sanders and hit two games, in two sports, in the same day. Except you'll do it in two spanking-new stadiums, and you'll eat better along the way. Both of these massive structures will feature amazing local food and drink to keep you from even noticing. SunTrust will feature a steakhouse from Linton Hopkins (of Holeman and Finch), Tex-Mex from Ford Fry (of pretty much everything else), Fox Bros Bar-B-Q with Athens-based Terrapin beer at the Terrapin Taproom (which'll have an adjacent microbrewery), and even Wahlburgers from Marky Mark and his funky family. On the Dirty Birds' side there’ll be sweets from Sublime Doughnuts and King of Pops, Spanish fare at the Iberian Pig, and both Chick-fil-A and Kevin Gillespie's Gamechanger, which features a pretty amazing chicken sandwich conspicuously called "Closed on Sunday." Talk about birds of prey. America's literary legacy finds a fitting home. Hemingway, Whitman, Clancy... America has been turning out game-changing writers since before Alexander Hamilton invented our country (we're good as musicals, too). There's probably a whole museum dedicated to them somewhere, right? Nope, not yet. It has taken forward-thinking bibliophiles to band together and launch the American Writers Museum, coming to Downtown Chicago in spring 2017. Studs Terkel and Carl Sandburg are beaming somewhere. An artists enclave booms into a proper Downtown scene. America's greatest scene of urban sprawl has done a remarkable job updating its urban center, and in 2017 the Downtown core will be a part of LA worth visiting as surely as Venice Beach or Hollywood. 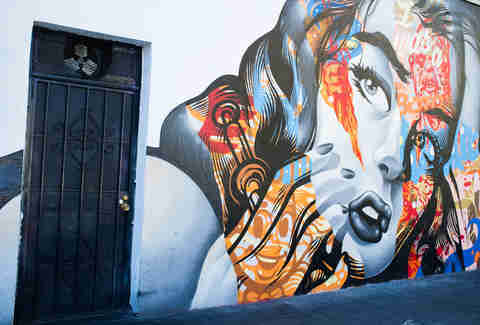 High-rise development is only part of the story; the real spot to see is out on the fringes between Little Tokyo and the LA River, a one-time artists colony that's become the non-showbiz creative hub of the city. The coming year will see the biggest influx of business to the area since its recent resurgence. The 30-acre ROW DTLA project will welcome an 8,000sqft store from limited-edition clothier Bodega, minus the hidden entrance. It'll also host a new location for local favorite cafe Go Get Em Tiger, as well as an oyster bar, a 4,000sqft indoor/outdoor coffee shop, and its own artists-in-residence program on site. It's also home to a weekly showcase of local food vendors called Smorgasburg LA, the perfect way to taste the best food LA has to offer without having to shell out restaurant prices. One of the last underdeveloped neighborhoods in SF finally pops. To an outsider it would seem impossible for anywhere in the densely populated 7x7 metropolis that is San Francisco to be "yet undeveloped." But out near AT&T Park the area known as South Beach is opening a slew of new attractions that'll have visitors like, "Fisherman's huh?" Not to be confused with the den of hedonism in Miami, this 'hood is home to the just-opened San Francisco Museum of Modern Art (SFMOMA) and its hit restaurant In Situ. The neighborhood is getting a chic new hotel with the Hotel VIA, a 159-room boutique offering that's walkable to the entire neighborhood. This year will also see the long-awaited opening of the Commonwealth Club, the nation's oldest and largest public forum whose radio broadcast draws nearly a million visitors every week. The building will span 24,000sqft, and plans to host over 450 speeches on all topics throughout the year. It's also home to the 21st Amendment Brewery, multiple urban wineries, and 12-time world champion pizza maker Tony Gemignani’s 2nd St Slice House. And when the Warriors maybe, probably move into their new home at the Chase Center in nearby Mission Bay, the entire area will bring a new dimension to San Francisco. There's always new stuff opening at Universal, Orlando's second city of theme parks, but 2017 brings perhaps the best crop of new offerings aimed at adults since Islands of Adventure opened in 1999. Universal is opening a new waterpark at Volcano Bay, which promises technology to cut out float-tube shortages and long lines at slides via a TapuTapu wearable, essentially a wristband that lets you virtually wait in line for the top attractions. 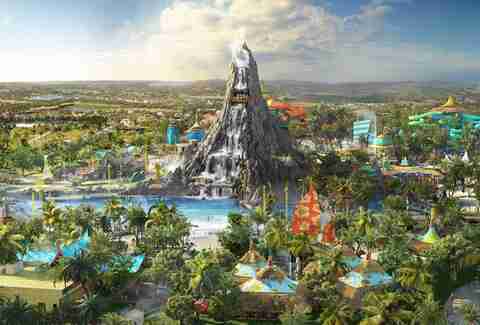 The park's centerpiece will be the 200ft Krakatau volcano, a towering tropical peak that's already visible from I-4. Inside, guests can experience a new aqua-coaster that shoots through waterfalls, caves, and deep jungle... or just float down the lazy river that runs through the bottom. A city of tastes finally rolls out its single-malt whiskey. When the craft spirits craze began in the early 2010s, recipes were crafted that would need time to age. As such, you can say that Portland's Bull Run Distillery has been biding its time. This year, at long last, it will uncork Bull Run Cask-Strength Single Malt Whiskey, a long-awaited spirit in maybe the only city in America where a craft spirit can be universally "long-awaited." This all-Oregon malted barley whiskey is aged in charred brandy oak barrels from Oregon's wine country and aged four years (plus 11 months). The flavor is a rich, caramel-vanilla smoky flavor, that finishes with a strong fruitiness from the brandy barrel aging. That newborn dram is just the latest new taste in a city of taste experiments. What to pair with it? 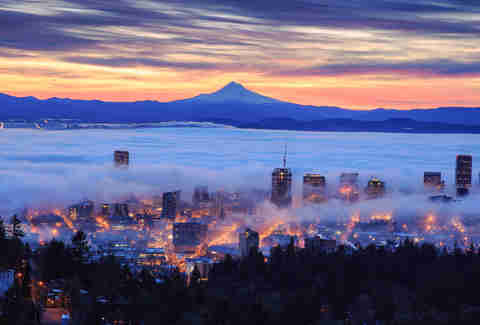 Well, this year 10 spectacular new restaurants will open in Portland in just the first quarter. Among them: Top Chef Masters winner Chris Consentino's new Jack Rabbit, Top Chef finalist Doug Adams' new restaurant Bullard, and Momofuku alum Johnny Leach's Chalino. 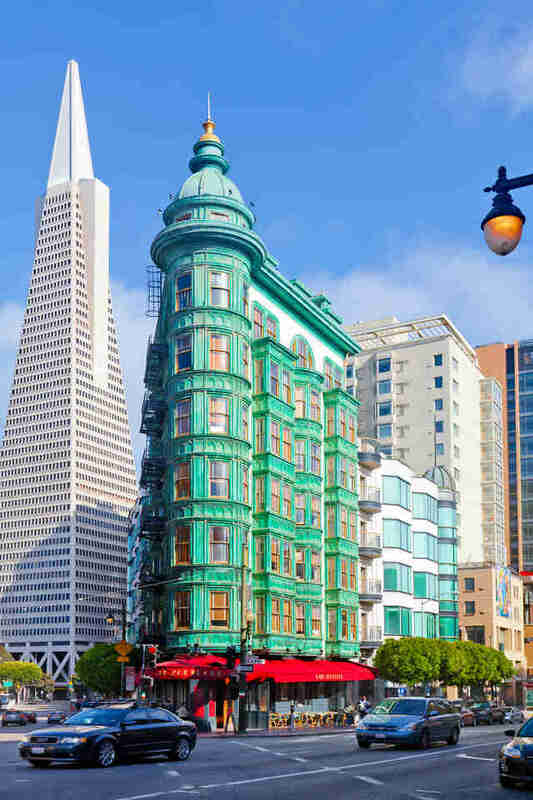 An historic skyscraper-turned-hotel highlights a citywide resurgence. Those gods of all things survey -- J.D. Power and Associates – ranked Columbus the No. 1 tourist destination in the Midwest. Columbus. Like that place that may or may not still have a hockey team. Oh, but you will know more soon. The largest city in Ohio has been drawing in young people by the hoards, and with them have come distilleries, enough new breweries for an entire ale trail, and enough new roasters for an entire coffee trail. But Columbus has also seen a massive influx of immigrants over the past decade, and the food scene here isn't as much the hipster, chef-driven variety as it is authentic, home country-quality ethnic food. Like a little New York City, it's got legitimate options for everything from Somali to Brazilian to Pakistani food, most of which can be had for a fraction of what you'd pay at anywhere described as "hot." But the centerpiece of the newfound urbanism is LeVeque Tower. 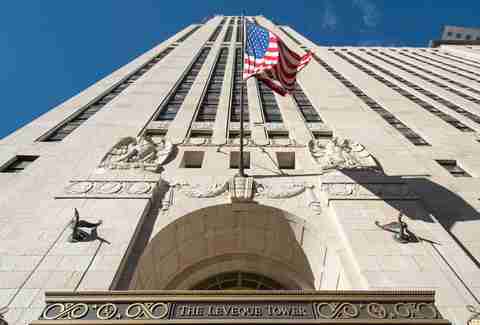 The most iconic building in Columbus was once the tallest between Chicago and New York, and after a $20+ million renovation is reopening this year at Hotel LeVeque. While it'll only occupy six floors, the hotel looks to bring a new kind of tenant to what should be C-Bus' signature edifice. And a whole new energy to a highly overlooked city. Matt Meltzer is a staff writer who said more nice things about Miami in this story than he has in four years covering the city for Thrillist. See if South Florida gets any better on his Instagram @meltrez1.